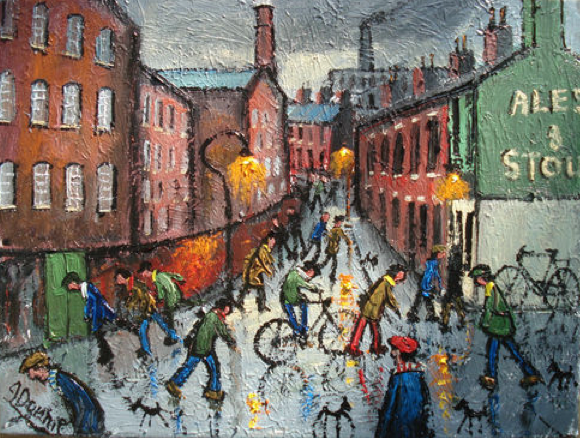 James Downie is an artist born in 1949 in Manchester. 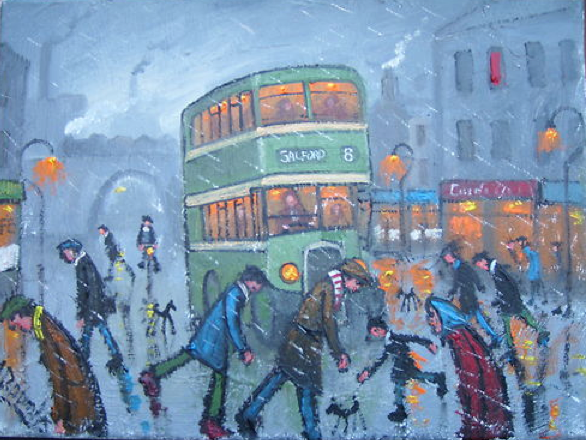 He has become a popular painter selling his original paintings from his ebay shop. All his work represents the past 1950S and 1960S. You can see that the work of Lowry has been an influence. 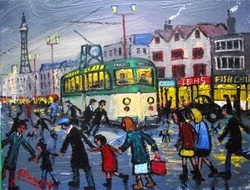 This is a painting of Wellington Road in Stockport. 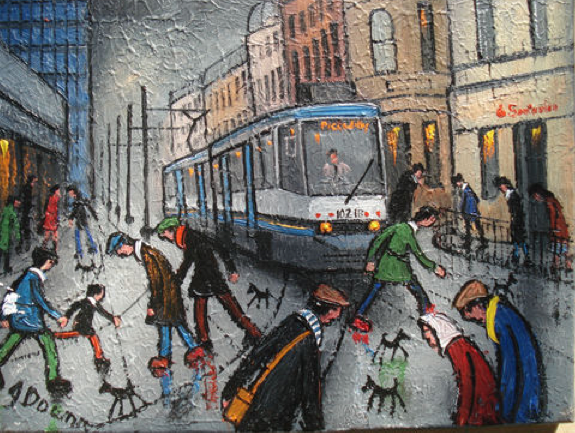 One of his latest street scenes. 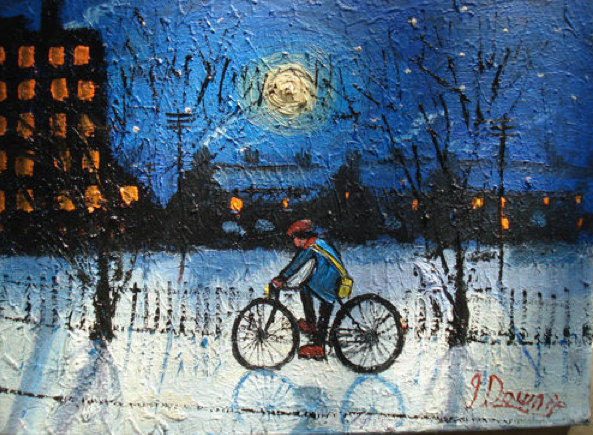 Some of the most popular James Downie paintings are his winter snow scenes. They often feature steam trains and a man and his dog.